Home / Latest News / Enter our Email Signature Contest! Hey there, Stampers! Do you want to be featured on our website? Want to receive ten FREE pints of Ben and Jerry’s ice cream? Enter our Email Signature Contest! 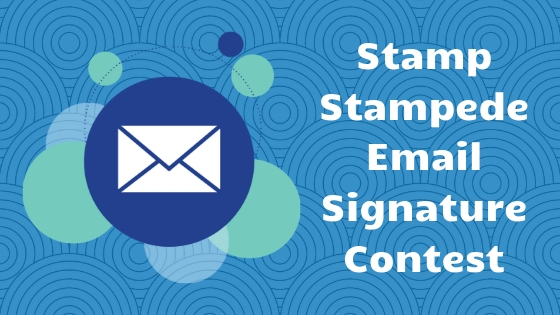 Email signatures are a free and easy way to spread the word about the Stamp Stampede and the movement to get big money out of politics that goes beyond spending stamped cash. They’re perfect for emailing your senators and representatives about campaign finance reform, or just shooting a message to a friend. Email info@stampstampede.org with your email signature design on or before May 15th. You can include text (no more than 50 words please), graphics, GIFs, whatever you please! Get creative! Campaign Donations Are Killing Our Nation. The Key Is To Keep On Stamping! Send your design in the body of your email, not as an attachment (this makes it easier for us to make it available on our website if you win). For additional rules, please see Contest Rules. Check out our current email signatures on our website for inspiration! One winner will have their design made available for download on our website and receive ten FREE pints of Ben and Jerry’s ice cream!